Welcome to the We Like Shooting show, Episode 140 - tonight we’ll talk about Laser tag, nikon p308, JP’s 308 Cazador, Alien Gear, Gunfighters Inc., ZK-22 and more! 3 gun shooter and super famous shooting personality that feels no summer is complete without catching herpes from a garden hose. - Kelli Sampsel. We are also joined by the self proclaimed Machine Gun Moses, a man who lives in the dark, only because he is so fat gravity will not allow light to escape - Aaron Krieger. Dana’s best quote: "Newsflash to the gun-control brigade: Women had the right to carry long before we had the right to vote, and no amount of airheaded, proxy lecturing through vapid women's glossies, is gonna change that." Please start plugging the meetup on all the shows until the week of NRA. Tell people to meet us at the Cardinal Hall of Fame Cafe on Saturday May 21st at 7pm. If they can say "Ambidextrous" as well as I can I'll buy them a drink! 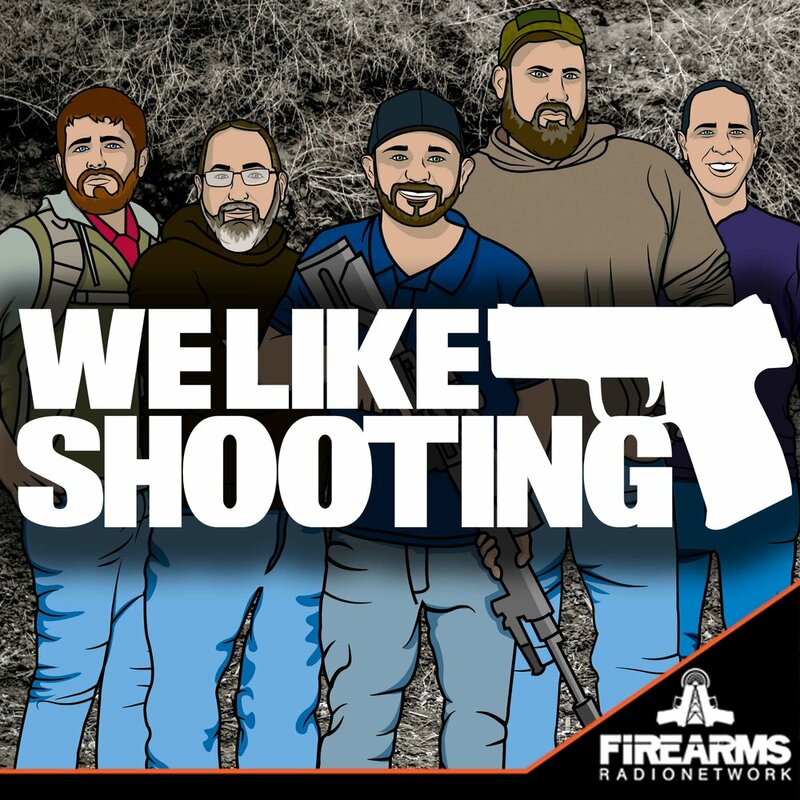 The We Like Shooting team puts together the most entertaining show on my commute to and from work. I've learned so may life lessons like, make sure to take care of your clean up rag when you're done with it and make sure you know what you're talking about, meemees o_O. Oh, and Aaron, I hope the toffee I sent you last year didn't push you to the 'Beetus. How are your feet man? Great show guys. Can't wait to meet you all.